See the full article from CBS 4 Denver featuring Trout Unlimited's Scott Willoughby. Most outdoor recreation occurs on the state's public lands and parks which are funded through various avenues. One of those funding sources comes from the Land and Water Conservation Fund (LWCF), which has set aside and protected special places in Colorado and nationwide for more than 50 years. This fund is not fueled by tax dollars but rather the royalties from offshore oil and gas developments. Unfortunately, the continuation of this fund is set to expire September 30, 2018 unless Congress steps up. So far, Senators Bennet and Gardner have both been leaders in supporting LWCF – but we need Colorado’s House delegation to also step up so that this successful program isn't lost to Congressional gridlock. CTU and Colorado Wildlife Federation leaders meeting with Representative Mike Coffman. 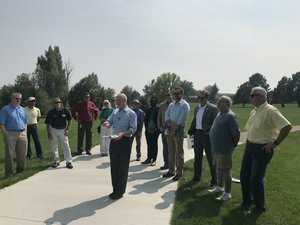 On August 20, 2018 the Colorado Wildlife Federation and Colorado Trout Unlimited thanked Representative Mike Coffman for supporting the reauthorization of the LWCF at the trailhead of the West Toll Gate Creek Trail in Aurora, a key segment in its trail system that has received substantial support from a federal grant from the LWCF. 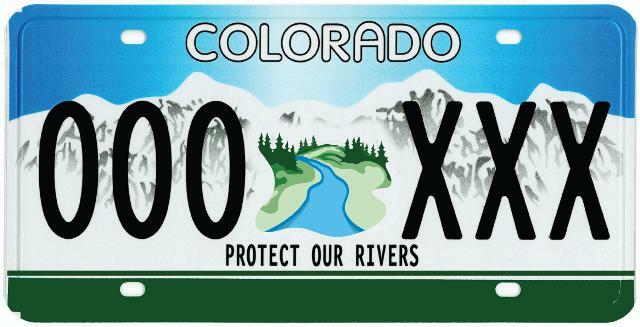 "From trails and parks along the Front Range, to expanding angling and hunting access on the west slope, the Land and Water Conservation Fund has invested millions of dollars into Colorado's great outdoors," said Colorado Trout Unlimited Executive Director David Nickum. "We thank Representative Mike Coffman for supporting reauthorization of LWCF, and urge the rest of our Congressional delegation to join him to ensure that this successful program doesn't expire after September." You can read the full press release from the Colorado Wildlife Federation here. How can you help? Contacting your representatives is easy with our online form. Follow the button below!